Wall mount (floor installation is also possible). 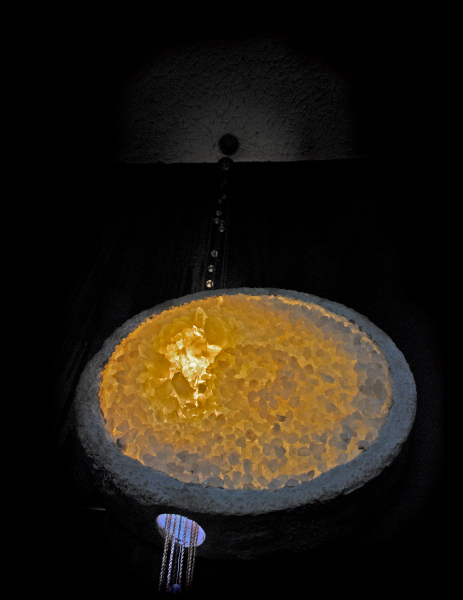 This work consist of back-illuminated quartz and salt crystals housed in a concrete rim. Light spot on the ceiling.